Health for Caregivers United (CARE4U) aims to improve the skills and competences of carers and care staff with a focus on practical skills and advice; moreover, it enhances employability by supporting carers to meet EU guidelines and best practice in each partner country. 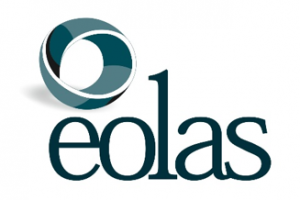 This sharing of skills and competences will be facilitated through an online learning platform. The CARE4U platform intends to improve the health, social and technological competences of people who intend to enter and remain in the labour market. The combined on line learning and advice from professionals will enable carers and care staff to enhance existing skills or develop new ones. The objectives of CARE4U are to provide an e-learning web portal that allows users to search for content and topics of particular interest, or recommended learning materials and training specific to their needs. Inexperienced carers that are advised by experienced carers in a safe space. Unemployed care staff that seek training to increase their knowledge and skill base to improve employability. Carers and care staff that require additional advice by professionals about a certain topic. Patients and the care sector as a whole constitute the indirect target group of CARE4U as they benefit from the personalized and adequate training provided by CARE4U. HI-Iberia Ingeniería y Proyectos SL is a Software Development SME founded in 1999 and integrated into HI-Iberia engineering group (HI-Iberia Ingeniería y Proyectos SL, Seaplace SL and Howards Ingeniería SL). HI-Iberia is an established participant of European R&D space, and is currently involved in more than a dozen of FP7, Artemis, ITEA, Erasmus+, H2020, and AAL running projects, coordinating several of them. Particularly, HI-Research is the R&D Department at HI-Iberia and is focused on the following R&D areas: e-inclusion and e-health, e-learning, multimedia, mobile applications, mobile communications and embedded systems, simulation environments, security, and semantics and data mining. Special interest is paid to the e-learning area, where HI-Iberia hoards large experience and teams a large and qualified number of professionals committed in delivering the foundations for new company products, such as HiSchoolBook, an e-learning web platform to generate, distribute, consume and share educational digital content personalized to each and every student. Project management training and coaching. 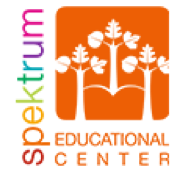 The Spektrum Educational Centre was established in 1996 as a nongovernmental organization. As a self-sustaining, dynamic organization that is open to cooperation, our aim is to offer a wide range of formal and informal trainings to the organizations wishing to develop in the region, and also to those wishing to learn without age limits. Within the framework of our educational development projects we are searching for effective ways and means to prepare the region’s workforce for the rapid economic changes and encourage entrepreneurship. BEST Institut für berufsbezogene Weiterbildung und Personaltraining GmbH was founded in 1990 as an independent Austrian organisation for providing continuous training, vocational qualification and career services. Its main activities comprise the development of innovative training programmes for young (+16) individuals and adults, many of them disadvantaged and with migration background, on continuous and vocational training, counselling & coaching and activation for job seekers and employees. The training schemes are client-oriented and based on both the specific needs of the labour market and the participants’ individual situations, skills and competences, previous experience and life circumstances. The institute has its headquarters in Vienna and operates several branches in the Vienna and Lower Austria region for up to 14.000 students per year (2017). The innovative training programmes for different target groups include own pedagogic and didactic approaches and materials, especially for social integration, empowerment, self-reflection and motivation, as well as ICT based methods which are constantly being updated. As one of the first training institutes in Austria, BEST has become a certified provider of the ECDL European Computer Driving Licence, EBCL European Business Competence Licence and ECo-C European Communication Certificate, and offers respective trainings and exams. Since 2008 BEST is an official CERTNÖ Training Centre certified by Danube University Krems and approved by the Lower Austria Government. 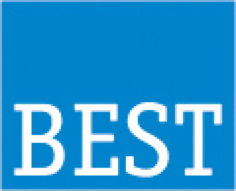 Since 2012 BEST has also the “wien-cert“, the quality certification for adult education. Brain Injury Matters NI is a local charity supporting children, adults and their families affected by Acquired brain injury (ABI) to rebuild their lives and reach their full potential in family and community life. Our services aim to promote independence, improve health and wellbeing, and support people to adapt to life after illness or accident. Our services are delivered by a combination of professional clinicians and staff with specialist knowledge of brain injury rehabilitation.